Life with Giggles: National Chocolate Cake Day! 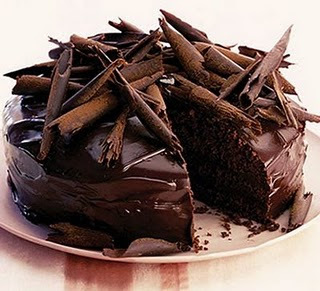 Did you know that today is National Chocolate Cake Day? Well it is! So, to celebrate I'm going to make a pit stop at the food store on my way home to pick up some essentials to make some chocolate cake today!!!!! What better excuse can you use to not feel guilty about eating chocolate cake! whoo hoo! I'm all about celebrating this today! Thanks! Yum what a great day! I think I celebrate this day a little too much though. I made rice krispy treats for dessert. If I would have know I would have made something with chocolate in it. WHAAAATTTT>!>! That exists? What a fab day to celebrate! YUM!